Over the past 6 to 7 months, I have been using a wide range of AVENT’s products — breastpump, washable breast pads, feeding bottles, steriliser and warmer. As the potential adverse effects of bisphenol A (BPA) on infants became more widely reported, I decided to switch Baby V’s feeding accessories to BPA-free ones. Although Baby V doesn’t drink milk from bottles, I occasionally freeze some milk to be subsequently warmed up for cup-feeding. The sterilisation and warming up processes (exposure to high temperature) could lead to BPA leach. About two weeks ago, I finally saw BPA-free bottles at Robinsons and Isetan (The Gardens, Mid Valley). The new bottles are made from Polyether Sulphone (PES) — a BPA-free material with a natural honey-coloured tint, as stated on the packaging. At Robinsons, the promotion was 20% discount and another 5% off by using Mastercard. At Isetan, the discount was 10% rebate for CIMB cardholders on the last Sunday of the month. Due to the high prices, I bought only two large bottles for immediate use with the breastpump. For storage purpose, I would certainly search for more cost-efficient bottles. As for the many gently-used BPA-containing bottles that I have, they can still be used as water bottles (for cooled water) or recycled to store non-food items. By the way, AVENT’s BPA-free manual breastpump is also available at Robinsons at RM289 (20% discount was not applicable). AVENT BPA-Free Feeding Bottles are available in most major departmental and baby stores. 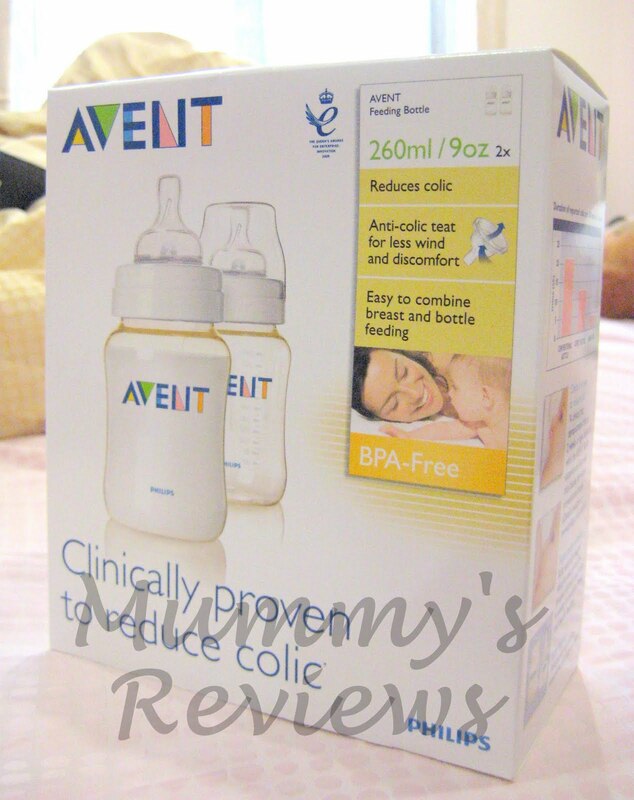 I have many AVENT products too and I like using feeding items from the same range. There is a new range of AVENT BPA-free bottles made from polypropene in the market now, which are cheaper than the honey-coloured bottles and more competitively priced. I would consider getting them for my next child. My sister-in-law who feeds formula milk to her children using the honey-coloured bottles has problems with milk leaking when she shakes the bottles. Apparently, she realised that many other mums have faced the same problem. I haven’t tried shaking the bottle with liquid since Vee is directly breastfed nowadays. Hope AVENT would resolve this issue soon to retain its customers. Leaky Avent bottles can be exhanged for new ones at no cost at their distributor ctr in Plaze Damas, Hartamas. Call up before heading over as they often run out of stock. I’ve changed all my leaky Avent bottles and am happy that the new batch has no issues.